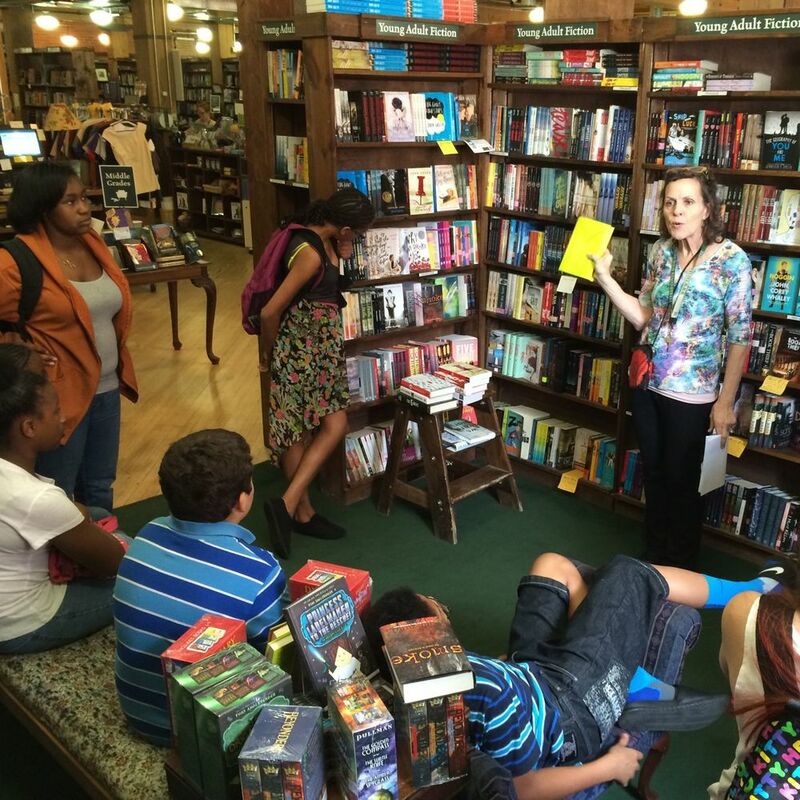 Last Thursday I had the privilege of meeting this group of 6th graders and their teacher (the one and only Johanna Zablocki, who is kind of a badass) and joining them for lunch plus some book shopping. 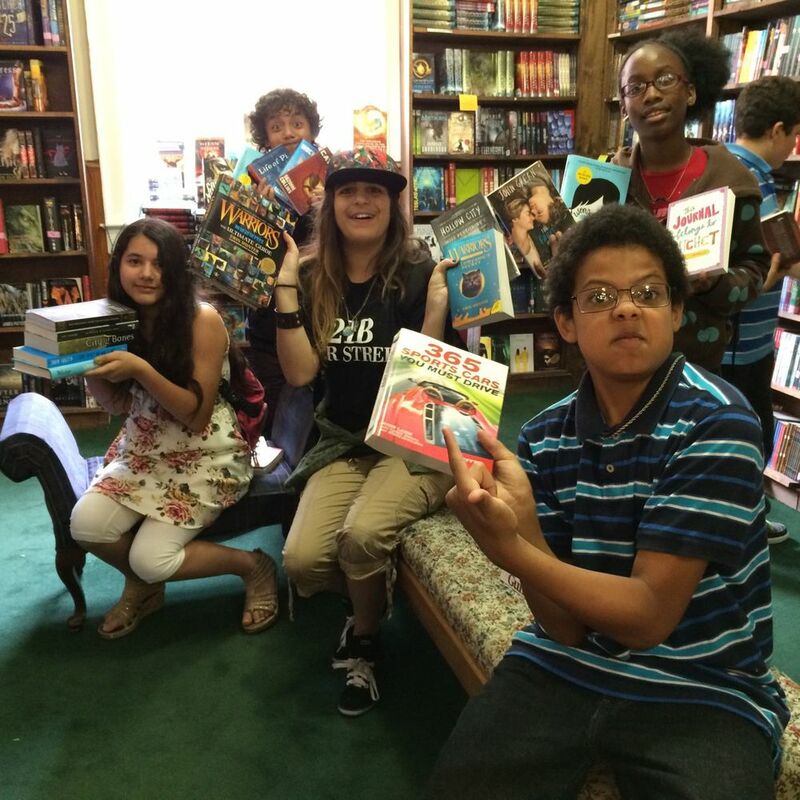 It was a little bit easier than last year, since I knew what to expect and had a second adult chaperone, and it was just as much fun to see the kids get excited about having new books of their own as they head into summer vacation. 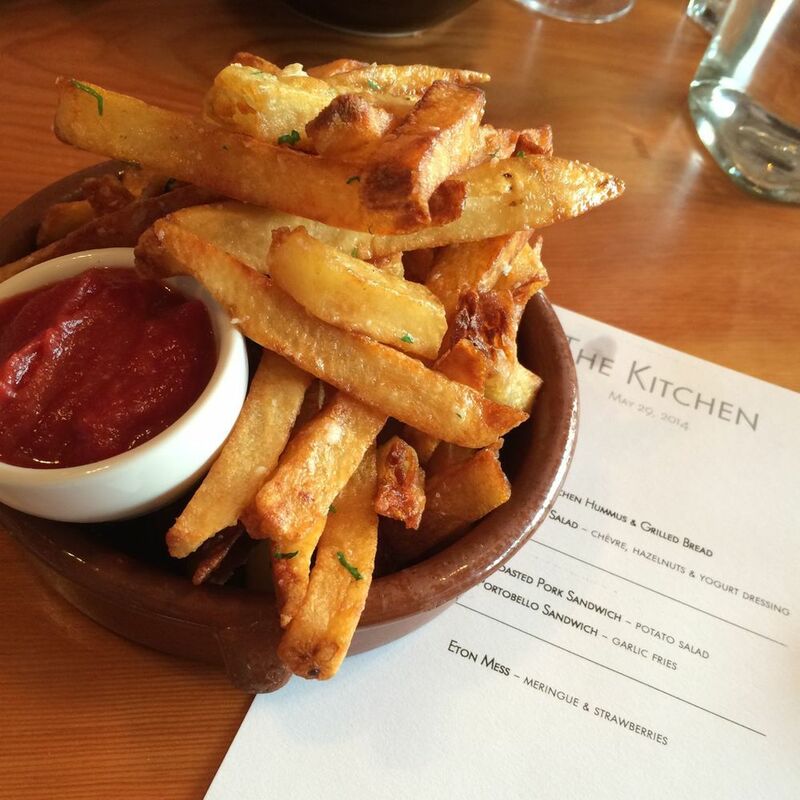 We had lunch at The Kitchen, which was outstanding as always. 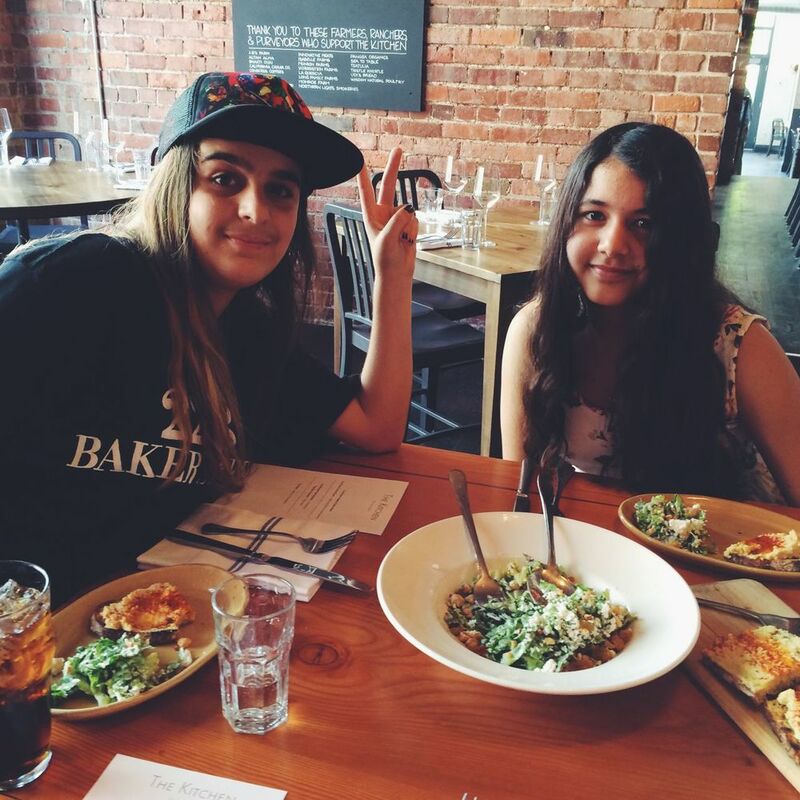 The staff was wonderful and accommodating, and helpful and, when one kid requested it, allowed the kids to pour their sodas and iced teas into wine glasses so they could feel just a little bit fancier as they enjoyed their meals. 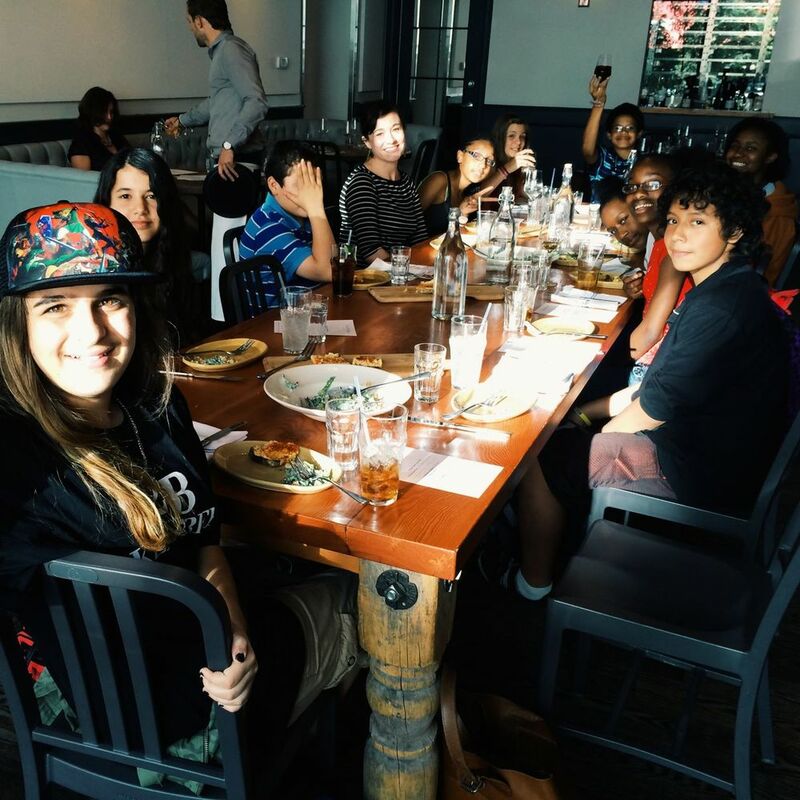 When the girls sitting next to me asked what "family style" meant, I explained that we would all share each of the dishes, rather than choosing our own personal foods. One girl said: "It's like Hogwarts!" The boy sitting next to me told me he loved the salad, but that he was going to stop after two helpings so he didn't get too full before the rest of the food came. Who talks like that at age 12? Cool kids, that's who. 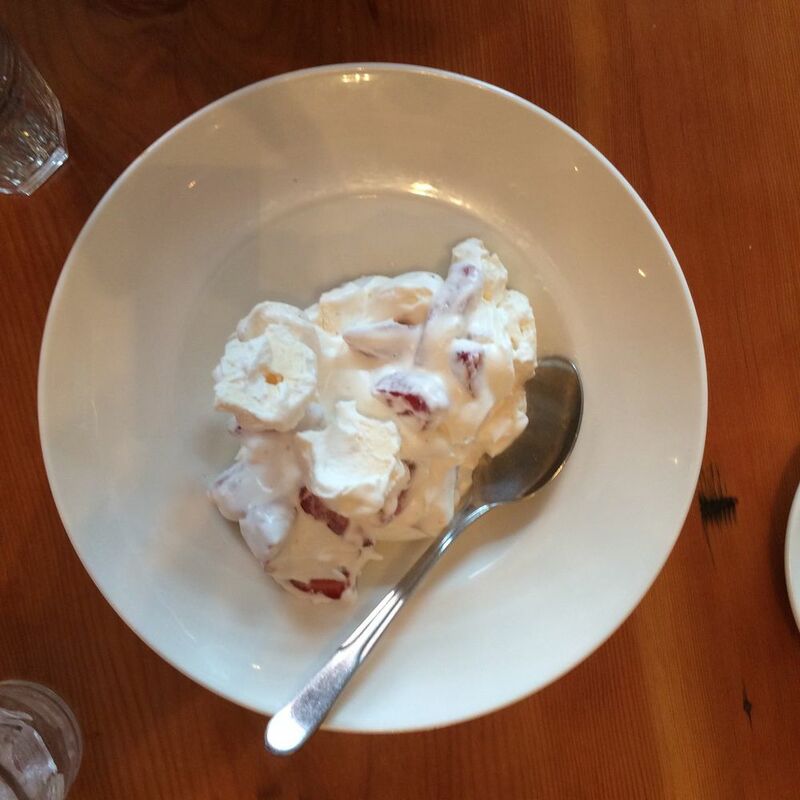 After devouring the strawberries and cream/meringue dessert (! 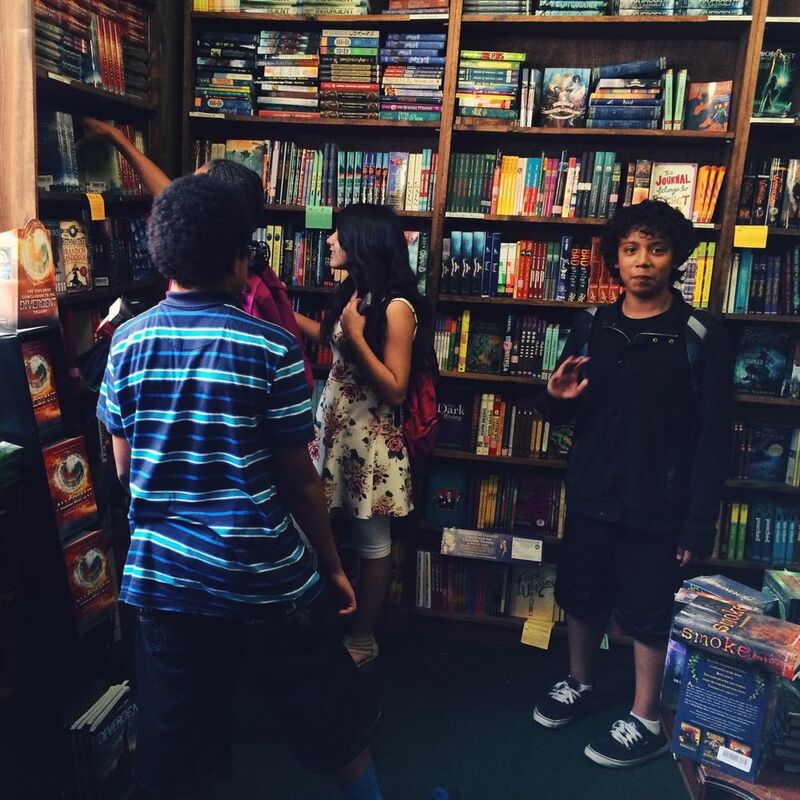 ), we headed across the street to Tattered Cover so the kids could browse the store and pick out their new books. We listened to a book talk, then set them loose to find the things they wanted. One girl found an old favorite, Knuffle Bunny, and asked if she could buy it. 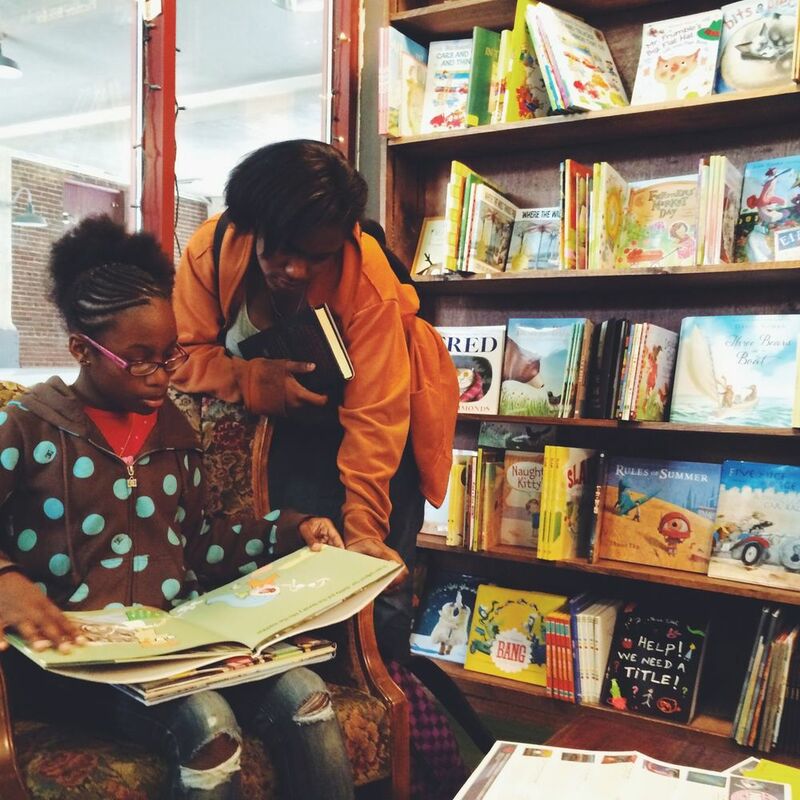 She decided, on second thought, that she didn't want to spend her money on it but that she did want to read it again, so she plopped down in the children's section and read it with a friend looking over her shoulder. I was reminded in that instant that there is such power in the books that mean the most to us. That we can go back to a beloved story years later and be comforted, encouraged, reminded of why we read. In the end, this whole thing was only possible because of the kindness and generosity of a whole bunch of other people. To all of you who offered to bake, bought the baked goods, donated your dollars, or simply told me you thought this was a good idea, THANK YOU. 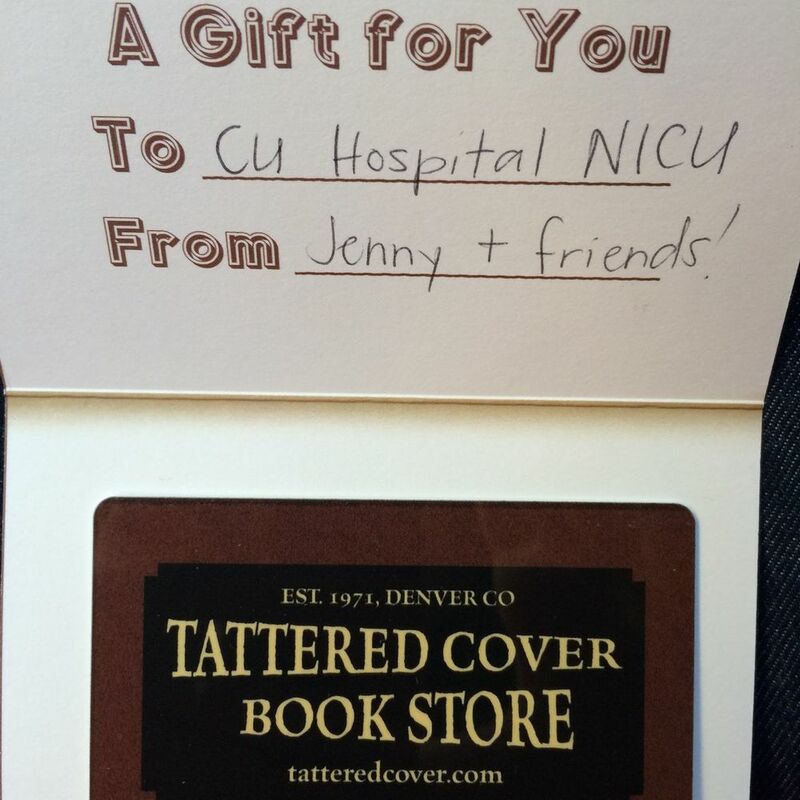 We didn't quite hit the $1000 mark (total raised was $810), but each of these kids got a whole stack of new books to keep AND I gave my cousin Kelsey a $310 gift card to spend on the library at the CU hospital NICU. Success, indeed.